We all know planning out Valentine’s Day can be stressful. 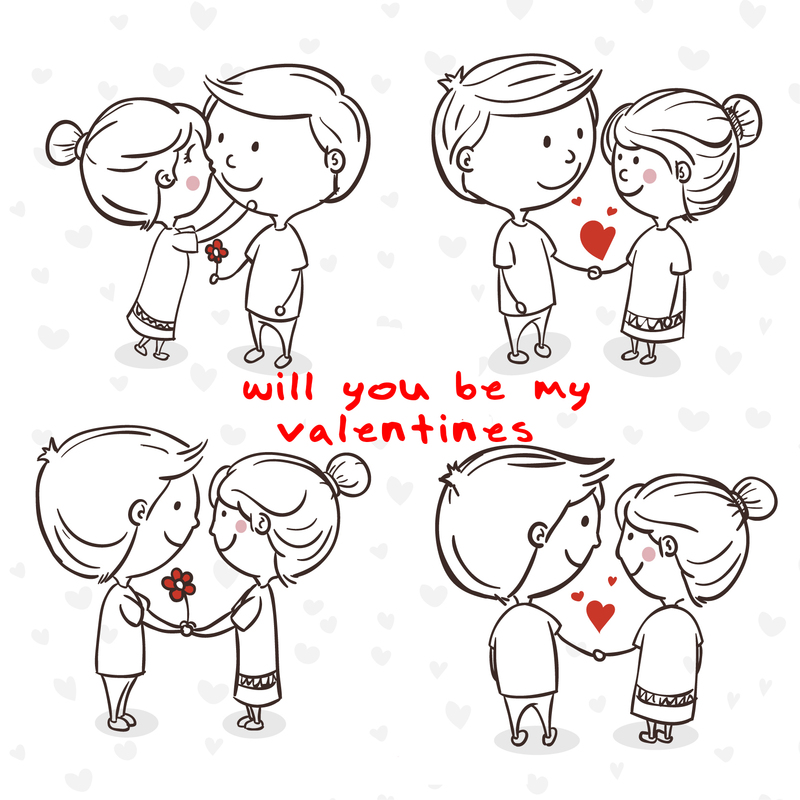 The holiday of love sets high expectations for presents, dates and gestures. Feeling pressure to get it right? No need to panic this year: there’s still plenty of time to plan out a perfect Valentine’s Day. We recommend a romantic hotel stay. Even though the holiday falls on a Wednesday next month, you can still enjoy a vacation with your significant other the weekend before or after Feb. 14 (or make it an extended weekend from Wednesday to Sunday, if you’re feeling extra romantic). Here are our hotel and resort recommendations for getting away—all without leaving the state. “Suite Indiscretions,” available Feb. 9-28 at Pelican Grand Beach Resort, starts at $9,999 for a three-night stay. Don’t expect cute boxes of chocolates on your bed when you arrive, though. Pelican Grand is taking inspiration from Fifty Shades Freed with a Dom Perigean Champagne welcome box; Sky Suite penthouse accommodations on the 12th floor; a complimentary Audi A8 Spyder for an evening out on the town; two tickets to the Fifty Shades Freed movie; a “Toes in the Sand” dining experience under the sky; bubble bath turn down service in the Microsilk Tub with cromatherapy and light therapy on the 1,100-square-foot balcony; a Hermes silk tie; and a “Do Not Disturb” sign. Foodie couples, this one’s for you. The “Taste the Love” package at The Confidante is a three-night stay featuring a creative culinary welcome amenity, a celebrity-chef guided local farmers market tour with a private cooking class, aphrodisiac turndowns and more. The package is priced at $5,000 per couple and includes one of the hotel’s specialty suites with steps that lead directly down from its terrace to a private poolside cabana. Pull out all the stops for your honey with the “Royal Romance Suits You” package from The Brazilian Court Hotel, inspired by international “it” couple Prince Harry and Meghan Markle. The package starts at $24,000, requires a four-night minimum stay and includes a bottle of Tignanello, peonies, banana cake and a hand written calligraphy note upon arrival. Other amenities included are an introductory helicopter lesson at Ocean Helicopters; an “Everybody Needs Somebody to Love” print by Van Donna; a half-day coastal excursion via Royal Yacht Charters; a Betteridge bespoke necklace; a Strathberry tote bag; afternoon tea at Serenity Garden Tea House & Cafe; a traditional English breakfast in bed; a chef’s dinner with wine pairings at Cafe Boulud; and luxury accommodations in the Brando Suite. Five percent of the package’s proceeds will be donated to Broward County Humane Society, World Vision or Sentebale. Available at Orlando World Center Marriott from Feb. 9-10 and Feb. 16-17, the “Recapture the Romance” package is perfect for those couples who want to bring their children along for the weekend getaway. It includes a kids-free evening with a two-hour Kids Club experience for up to two children ages 4-12, while adults enjoy a date at Siro: Urban Italian Kitchen or Latitude & Longitude. “Recapture the Romance” also includes laser- and pool-view deluxe accommodations with nightly “Light-Up-The-Night” laser light shows and valet parking. Rates start at $329 per night. Use promo code ROM. Starting at $1,999 per night, you and your soulmate can spend time at Ocean Key Resort & Spa through the “Cupid’s Suite Piece of Paradise” package. The oceanfront property is nestled between Key West Harbor and Mallory Square. The package features a three-night stay for two in the Oceanfront Boutique Suite, dinner for two each night at Hot Tin Roof or on the private suite balcony, two singles or one couples SpaTerre experience and daily waterfront breakfasts for two. Mention “Cupid” when booking your stay. For the couple who wants to keep Valentine’s Day lowkey, head towards Tampa Bay for a weekend full of golf and relaxation at Innisbrook Golf Resort & Spa. The “Perfectly Paired” package boasts a welcome gift of Champagne and chocolate-covered strawberries, daily breakfast in the Clubhouse and a sensuous couples massage. The package rates start at $239 with a two-night minimum stay. Head to Florida’s oldest city for “Enchanted Evenings” at Casa Monica Resort & Spa. Enjoy 15 percent off room rates, complimentary bottles of sparkling wine upon arrival, dinner for two at Costa Brava and valet parking. A $100 spa credit at the resort’s signature Poseidon Spa is also included in the package. Indulge in the package’s culinary offerings as well: a four-course Valentine’s Dinner at Costa Brava (with a half-priced dinner menu for hospitality professionals on Feb. 15), $10 Valentine’s Day-themed craft cocktails at Cobalt Lounge and $3 spiked Chocolate Kiss Coffee and $5 themed desserts at Cafe Cordova.